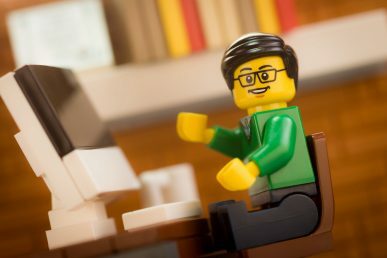 Superuser will feature weekly summaries of the videos; you can also catch them on the OpenStack Foundation YouTube channel. This post covers Cinder, Neutron and Nova. The goal of the project is to implement services and libraries to provide on demand, self-service access to Block Storage resources. Provide software defined block storage via abstraction and automation on top of various traditional backend block storage devices. Who Sean McGinnis, PTL. Day job: Senior principal software engineer at Dell. “I’d love to have feedback from users about what they’re looking for with replication, so we can be sure we meet their use cases,” he added. ”We can always use help – core reviews, documentation, you don’t need to be a programmer,” McGinnis says. “If you want to be a part of the community and get involved, we would love to have you.” He suggests dropping in on IRC and asking who might need help. 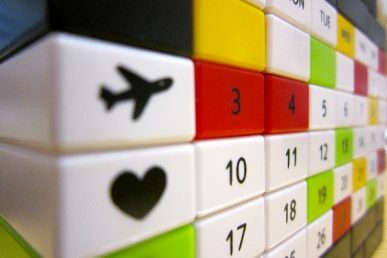 Participate in the weekly meetings: held in #openstack-meeting, on Wednesdays at 16:00 UTC. 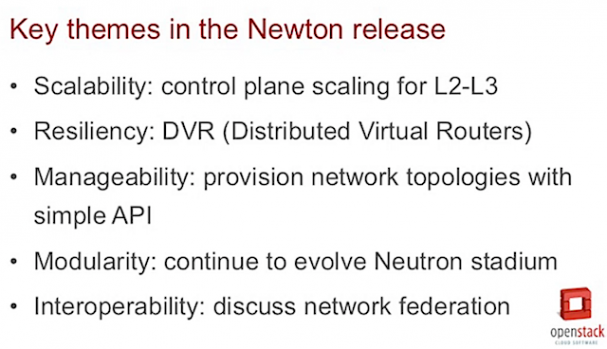 Neutron’s goal is to implement services and associated libraries to provide on-demand, scalable, and technology-agnostic network abstraction. Who Armando Migliaccio, PTL. 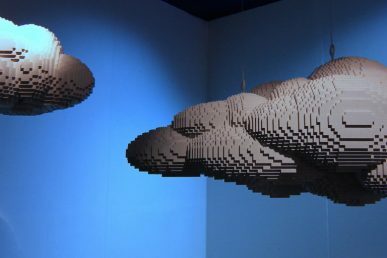 Day job: software architect, HP Networking at Hewlett-Packard. What Nova, OpenStack’s compute service. The project aims to implement services and associated libraries to provide massively scalable, on demand, self-service access to compute resources, including bare metal, virtual machines, and containers. Who Matt Riedemann, who has been with IBM for over 10 years. 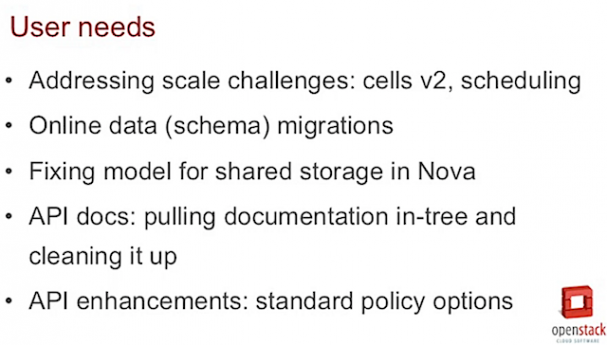 You can find all the planned updates at the Nova specs repo but Riedemann says the top priorities are the Cells v2 work, the scheduler work, the API policy defaults and the API-refs doc cleanup. Looking ahead to the Ocata release, he says that interoperability will also be a focus as the team lays the groundwork on the APIs. 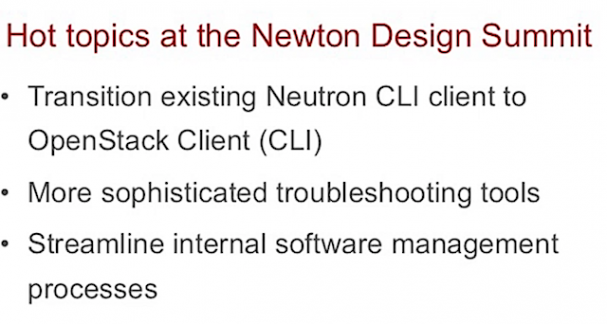 “You can really tell in the Newton design sessions that Nova is really naturally grown into effective sub-teams,” Riedemann says. “There are lot of broad things that need work and people can get their feet wet with.” Check out the Nova wiki for more information. Participate in the weekly meetings: Thursdays alternating 14:00 UTC (#openstack-meeting) and 21:00 UTC (#openstack-meeting). 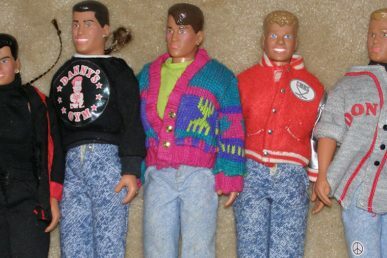 Why Cinder’s project technical lead wants you to break things, the key to continuous integration and the influence of an epic 80s boy band.